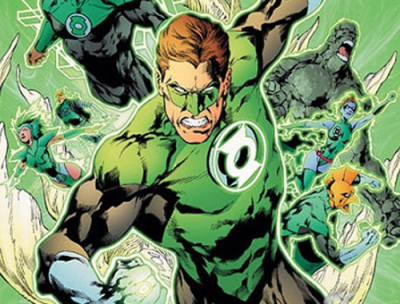 Green Lantern has been outed as gay by DC Comics Friday, and the resulting backlash and outrage has led many to wonder how the comic book world - and a majority of their fans, young children - will be affected. "Why do adult gay men need comic superheroes as role models? They don't but do want to indoctrinate impressionable young minds by placing these gay characters on pedestals in a positive light," stated One Million Moms, a Christian-based conservative group. The Green Lantern who fans discovered was gay is Alan Scott, the original character from the 1940s. The decision was one of writer James Robinson, who is working on a reboot of many original DC characters in the "Earth 2" comics. For him, making the leader of the Justice Society a homosexual was a decision that was done "without a moment of hesitation." "Since we were making Alan young again, I thought it was a shame to lose [Obsidian, Alan's son, who is gay]. When I began writing Earth 2, I wanted the book to be as diverse as possible," the comic book writer told Advocate.com. "Why don't we make Alan Scott gay? Why don't we make the leader of the Justice Society a gay man? … there wasn't a lot of soul-searching about it." The announcement - which follows Marvel Comic's marriage of two of their gay characters, Northstar and his long term boyfriend - has stirred up controversy for conservative advocates. Many don't believe deviant sexual activity should be hidden under the guise of "diversity" in children's books. "Thanks to our depraved society, the Green Lantern will now be known as the Pink Nightlight," tweeted one pastor. "Remember when comic books were just comic books?" wrote IHateTheMedia.com. "When a boy could read his comic and dream about being a hero? And a girl could decide whether she wanted to be Betty or Veronica? No political agenda being shoved down your throat? Those days are gone." The move was interpreted by some as an attempt to drum up media attention in the face of dismal comic book sales: sales fell over $20 million from 2008 to 2011, according to Diamond Comics retailers. It was defended by Robinson, however, who claimed that statistically, having a gay superhero only serves to represent more of the world's population. "It stands to reason, just based on the population of the world, at least one member of the team is going to be gay," Robinson said. "There are a lot of diverse traits to his personality. … I think we need to move with the times." In response, conservative groups like One Million Moms have vowed to boycott gay superhero books and encourage others to do the same. "Ask [DC and Marvel] to do the right thing and reverse their decision to have sexual orientation displayed to readers," reads their website.